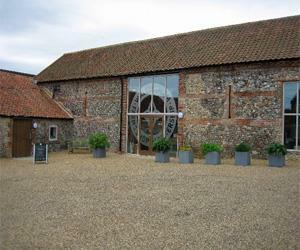 Walsingham Farms Shop01328 821877work Shop - FarmFarm shop offering the best of local North Norfolk produce. Daily needs such as meat, fresh vegetables, milk, bread, cheeses. Local Norfolk artisan cheeses. Full butchery counter: well hung aged Walsingham beef. Pork and lamb from nearby South Creake. Home made sausages and home cured bacon. Poultry from local farms. Open kitchen, preparing home cooked ready meals, soups, cakes, desserts. Fantastic choice of our own made pies, sausage rolls, scotch eggs etc from our deli counter using the best of local produce. Vegetarian and vegan options. Farm shop offering the best of local North Norfolk produce. Daily needs such as meat, fresh vegetables, milk, bread, cheeses. Local Norfolk artisan cheeses. Fine choice of locally brewed beers, ciders, local gins and other spirits. Choice of Norfolk wines among our selection.